Mega Man 10 is the greatest Mega Man game of all time. One of the statements in the sentence above is a lie. 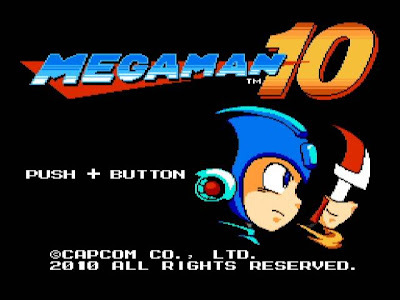 Mega Man 10 has the potential to be the greatest Mega Man game of all time, but while the core gameplay constitutes one of the finest Mega Man experiences to date, Mega Man 10 falls short in a few critical areas. The game's primary undoing is that it is being reviewed by a guy who has played waaaay too much Mega Man, a guy who gets annoyed whenever Capcom replaces something that worked perfectly in one game with something appallingly inferior in the next game. Classic Mega Man games aren't renowned for their gripping plots (unless you count gripping the controller while watching the cutscenes), so complaining that Mega Man 10 has a hokey plot is like whining about how your Game Boy doesn't make toast. Robots everywhere are coming down with a robo-flu and going berserk (in the game, though; not in real life--no need to panic). Evil scientist Dr. Wily is totally not responsible for the outbreak because he shows up begging Mega Man for help. 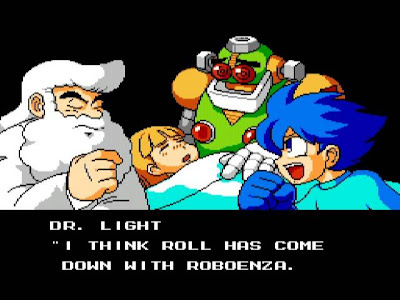 Wily tells Mega Man to go after eight boss robots to recover his "stolen" invention that will help him cure this so-called Roboenza, which sounds more like a prescription drug. Ask your mad doctor is Roboenza is right for you. It's not my favorite Mega Man story ever conceived, and the few minor plot holes along the way don't help, but I give it credit for allowing character development to have a cameo. However, anything I like about the plot is nullified by the presentation, which can either be classified as "probably rushed" or "inexcusably lazy," depending on my mood. Story sequences feature either a bunch of sprites who mostly stand around and talk at each other, or close-up illustrations with as little animation as possible. Perhaps I'm overly judgmental after being treated to nearly two decades of interesting and action-packed cutscenes involving allies teleporting in at the last minute, about-to-collapse castles falling apart at the seams, skull-shaped mushroom clouds, and scientists frantically waving their arms about, but the cutscenes in MM10 tend to resemble a slideshow with only about seven slides, two of which are missing. You see, the ending is the worst offender; not only are things wrapped up quickly and slightly illogically, but half of it is told through text and sound effects against a black screen, followed by end credits that can only be described as a glorified Windows screensaver. The visual feast that was MM9's ending is a hard act to follow, but MM10 could have at least tried to compete by... I dunno... actually having visuals. The rest of the game looks quite nice, for the most part. 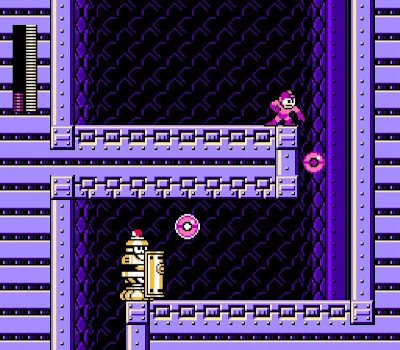 The faux 8-bit look suits Mega Man quite well, and the level of graphical detail surpasses most other Mega Man games in the same visual vein. There are vibrant brown waterfalls, flashing wall panels that indicate the presence of SCIENCE!!! and even cute little robots with baseball caps and an attack pattern that makes me want to hate them forever. Most everything is visually appealing... except for the bosses, who were all rescued from the Island of Misfit Robot Masters. 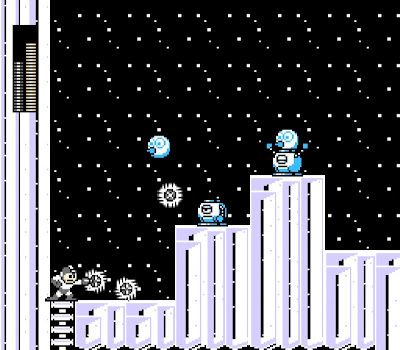 Solar Man looks like a regular stage enemy, the wimpy cousin of the fireball-tossing robots in Quick Man's stage from Mega Man 2. Chill Man looks like he was uncreatively assembled from the remains of Cold Man and Dynamo Man from Mega Man & Bass. Nitro Man transforms into a cool-looking motorcycle, but his regular form looks to me like Bloated Man. Sheep Man is... actually, I kinda like Sheep Man. Blade Man is a purple banana with swords. Pump Man... okay, I sorta like Pump Man, too, even though he's mildly disturbing. Commando Man is just... there. 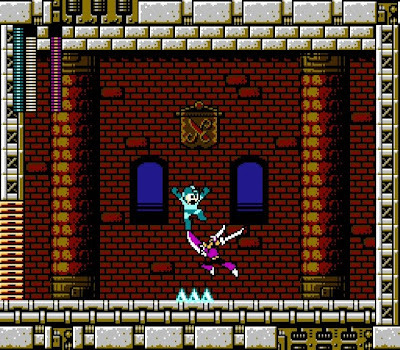 Part of my unfavorable opinion of the robot masters stems from their special attacks; MM10 manages to capture all the most annoying boss abilities in the same game! Projectiles that deflect your shots. Getting knocked down whenever the boss falls to the ground. Getting frozen in ice until you can mash buttons enough to break free. Having bosses hang out at the top of the screen where you can't reach them. There's more, but now I'm getting whiny. Happily, Mega Man 10 isn't all boss battles. For the most part (again, with the "for the most part), the stages are well-designed and offer diverse and fair challenges--raging sandstorms flood the screen and obscure the ground beneath you; running on a treadmill temporarily energizes platforms you can stand on; and an unfriendly conga line of fireballs leaps back and forth out of the walls. I can't think of a single kind of enemy or platforming challenge that is overused or underused, save for a major section of Blade Man's stage that just goes on forever (hop up and down on a seesaw for about five minutes while being shot at and tell me if you're having fun). Success depends almost entirely on skill and practice... and also special weapons and items. The special weapons in this game are, once again, rehashes of weapons we've already seen throughout the original and X series, but at least they're creative rehashes. The Wheel Cutter is an upgraded version of Wheel Gator's weapon from MMx2 that you can hold in front of you and then launch across the ground and up walls; Rebound Striker is a less-embarrassing version of the Mega (soccer) Ball from MM8; Commando Bomb is an exploding version of whatever the heck Izzy Glow's weapon is called from MMX5. What's unusual is that most of the weapons do more damage depending on how you use them: Chill Spike, for example, freezes enemies in place while dealing a minimal amount of damage to them; if Chill Spike hits the ground or a wall, it'll turn into a mass of jagged ice that does much more damage to anything that comes in contact with it. It's a nice idea, but there's just a little too much strategy involved for my taste. Once again, there is a shop feature that sells an array of helpful items such as Energy Tanks and one-use doohickeys that protect you from instant death when landing on spikes. I'm pleased to report that the shop interface has been cleaned up since the last game; no longer will you fumble with the controls and accidentally buy five extra lives, a bird whistle, and a new dress for your sister. I can't speak as highly of the in-game menu system, however; there's a lot of wasted space on your inventory screen, and navigation is clumsy until you've acquired all the special weapons and can count on your cursor moving the direction you tell it to. Now that I've unintentionally segued into the subject of controls, allow me to interject that I've had repeated difficulties with the controls. It's likely that this is all the Wiimote's fault (that's what I said about the broken TV, too), but I've found myself casually strutting off the edge of multiple cliffs because jumping was not happening. Beyond that, there's a button that allows you to cycle through your weapons without visiting the menu screen, which would be great if my twitchy finger didn't inadvertently tap it at the worst possible moment at least once per stage. There's also a weird pause before the start of every boss battle--normally, as soon as a boss's health meter fills up, it's clobberin' time. In MM10, there's an unusually long delay where everybody just stands there. In fact, there are a few timing issues that only throw me off because I've been playing Mega Man for so long; enemies who pop out of bottomless pits don't respawn as quickly as I expect them to, and Hard Hats feel rather unpredictable concerning how long it takes them to emerge from under their helmets to shoot at me. There's nothing major, but it's enough to bother me, like moving all of the furniture in my house an inch farther away from the wall. I've pointed out several flaws so far, but rest assured that there is a good deal of good in Mega Man 10. Between thoughtfully placed powerups and a range of special weapons that are handy in a variety of situations, it feels as though the designers were truly conscious of what players would need in order to have any hope of making it to the end of the game. To that end, the designers also threw in an Easy Mode so that people who have no business playing Mega Man will feel compelled to give Capcom their money. Easy Mode makes a number of alterations to the normal game, such as toning down the boss battles so that the wailing and gnashing of teeth is kept to a minimum, giving powerups away like beads at Mardi Gras, and adding some platforms to catch you from falling to the doom that you completely deserve for missing that jump. 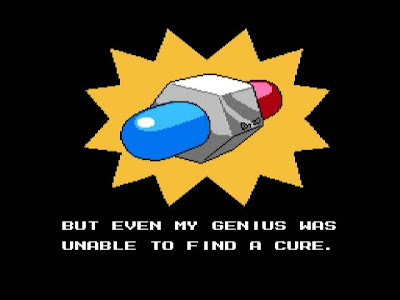 On the other end of the spectrum is Hard Mode, which is unlocked when you announce that Normal Mode is too easy for a Mega Man expert like yourself. Hard Mode then proceeds to weave your words into a fashionable rope and chokes you with your own arrogance. Hard Mode ramps up the difficulty of the bosses by giving them a top-secret super attack and/or making their regular attacks even more difficult to dodge. Hard Mode also messes with the quantity, placement, and type of enemies found throughout the stages so that each and every screen requires a specific strategy to survive. Easy Mode is designed to make sure you succeed. Normal mode is designed to be a challenge, but one that can be surmounted with enough skill and practice. Hard Mode wants you to fail. Being the Mega Man nut that I am, I greatly enjoyed the increased challenge of Mega Man 9's Hero Mode, and I somewhat enjoyed the even-more-difficult Superhero Mode; except for two situations where a challenge actually became easier for me because of how I'm configured to play platformers, Mega Man 10's Hard Mode is not fun. Period. You can trust my judgment here, because I consider jumping from platform to platform with only a single pixel between me and instant death to be fun. Well, it could be worse. At least Mega Man can charge up his weapon and slide out of the way of danger, right? Wrong. Wrong like Oreo Fun Barbie. 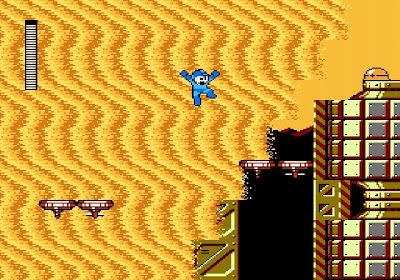 After nearly twenty years of Mega Man games featuring a slide and charge shot, it is very difficult for me to go back to the primitive simplicity of run, jump, and die because you can't dodge or kill an enemy quickly enough. 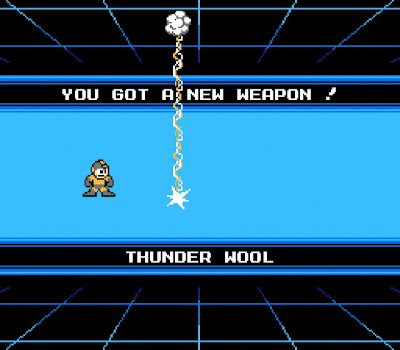 The challenges of the Mega Man series have grown more complex over time, requiring greater mobility for success, and it's just plain tedious to take down a boss with a primary weapon that's a dinky pea-shooter. This diminishes the replay value, too: fewer abilities means fewer possible variations on how you might tackle a stage, and doing only one damage at a time to bosses with your regular blaster is a strong deterrent to fighting the bosses out of sequence, unless your idea of replay value is getting blown up and replaying a boss fight over and over. 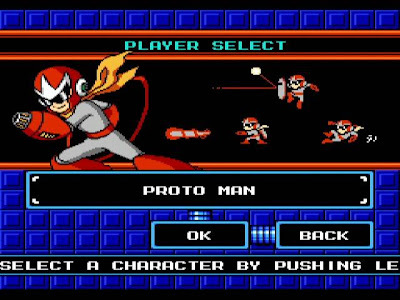 However, there is a glimmer of hope: From the very beginning, you have the option to play either as Mega Man or his ultra-cool brother, Proto Man. Not only does Proto Man have a shield that can bounce projectiles back at the enemies that fired them, but he can slide and charge up his blaster, and he's got a jet sled item available from the start. Plus, he's got those awesome shades and his own whistle theme. Why would anyone ever not play as Proto Man? Oh... I dunno. Maybe it's because Proto Man can only shoot two bullets at a time instead of three, which makes accuracy that much more important. 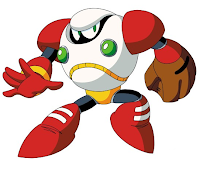 Or maybe it's because his charge shot is the weaker version from Mega Man 4, but with the drawback from Mega Man 5 where you lose your charge when you get hit... a drawback that was supposed to balance the fact that the charge shot was more powerful in that game. Another possible reason is that the shop doesn't offer Proto Man as many items, and everything is more expensive. Ooh, I know! Maybe it's because enemy projectiles coming from certain angles bypass Proto Man's shield and instead get blocked by his pretty, mysterious, highly flammable face. Or it could be that Proto Man gets knocked back twice as far as Mega Man when he gets hit, usually resulting in him falling backwards off a ladder and into another enemy, which knocks him back again, toppling off of a platform, and plummeting into a bottomless pit somewhere back at the beginning of the stage. Or, possibly, it's because Proto Man takes twice as much damage as Mega Man. So... in an effort to balance Proto Man's three useful abilities with Mega Man's utter mediocrity, they deluge him with drawbacks that make it almost impossible to win, let alone have any fun. This is like giving one child a melted old chocolate bar, and showing fairness by giving another child a decadent triple-layer molten chocolate lava cake and then cutting off his arms. What is the payoff for this suffering? Is it a new storyline with an alternate ending? No. There are approximately two cutscenes that star Proto Man instead of Mega Man, and that's it. Fortunately, the dialogue changes to fit Proto Man's aloof nature. Unfortunately, thanks to the dialogue changes, the ending (which is the same for both playable characters) no longer makes any sense whatsoever. Surely there must be something to justify playing as Proto Man. I admit that a few sections are more fun to play through as Proto Man, but those are almost exclusively limited to boss battles fought without the proper special weapon on Easy Mode and a few places where Proto Man's ability to deflect multiple projectiles with his shield turns him into a Jedi. Along with the slightly different cutscenes and the fact that Proto Man is one hip cat (when he's not being bullied around by enemies half his size), that's enough to warrant playing through Mega Man 10 at least once as him... but not on Hard Mode. There is no sane reason to play through Hard Mode as Proto Man. I'd say "bragging rights," but that's like being able to brag that you slammed your head against a brick wall for three hours. No, you get nothing. But, because the developers tried to fairly balance Proto Man, you get nothing and a big headache. However, it might be worth your while to beat Hard Mode as Mega Man, at least if you're driven by achievements. Just as robots have been infected by Roboenza, Mega Man has been infected by the achievements craze, and you get a little blip of recognition whenever you do something special such as clearing the game on Hard Mode, beating all the robot masters without using any special weapons, and playing as Proto Man for more than ten minutes without screaming any obscenities. Wait; scratch that. You can't earn any achievements while playing as Proto Man. Clearly, his superior abilities would make it far too easy to earn that coveted "beat the game without dying" achievement. In addition to a limited number of achievements--and they do deserve the name "achievements," as none of them requires random busywork for a pointless pat on the head--there's a beefy lineup of challenge scenarios that serve to hone your skills and aggravate the heck out of you. Challenges include the likes of hitting a bunch of targets with a certain special weapon, surviving a platforming-intensive stretch of level with deadly spikes everywhere, and squaring off against the various bosses and minibosses on each of the three difficulty settings. If you can beat the game, you can beat these challenges. The tricky part is meeting the additional criteria for bonus points: Don't just beat this mini-stage; beat it without getting hit. Don't just defeat this boss; defeat him without taking damage... and don't use any special weapons. These challenges contribute greatly to the replay value, and you'll spend literally minutes trying to properly complete some of them before deciding that you'd have more fun playing through Hard Mode as Proto Man for all eternity. The crux of the matter is that the music is not actually bad: the instrumentation is good and not as relentlessly retro as MM9's, and there's not a single obnoxious jingle in the bunch. It'd be a good soundtrack... for a Mega Man RPG. For a series renowned for its high-energy soundtracks, the music of MM10 is comparatively slower, more introspective, and more subtle. In other words, it's not very memorable. Although, once I got good enough at the game to focus more on the aesthetics and less on keeping myself alive, I started to gain a greater appreciation for the music. Still, after hours upon hours of playing, the only tunes I can actually remember enough to hum are the intro ditties to the main themes of some stages and a few of the shorter tunes, like the long-overdue remix of the old "Look! You're selecting a boss!" theme. I like a lot of the music well enough, but it's not sticky enough to adhere itself well to my brain. The music does improve in the castle stages in the second part of the game, as does my opinion of the bosses. There are some positively brilliant throwbacks to previous Mega Man games in the castle stages, and it's worth it to play this game just for their sake. Whereas Mega Man 9 heavily and obviously references Mega Man 2, this game brings back elements both subtle and overt from all over: the shrimp enemies from Bubble Man's stage in MM2 have returned with a new look; the weapon acquisition screen resembles the one from MM4; and the time bombs from Blizzard Man's stage in MM6 are in abundance, just to name a few. 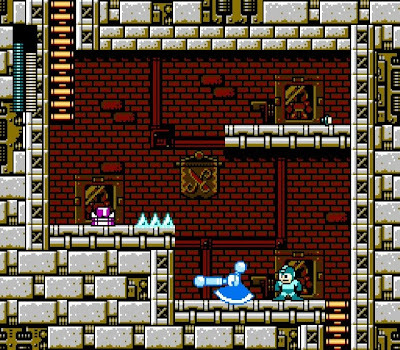 While it's possible to reference other games in a series while coming up with plenty of new material, Mega Man 10 doesn't take too many risks; in a way, it's essentially a continuation of Mega Man 9 (clicky for my review) with more fine-tuning than outright changes. More of the same is never really a good thing or a bad thing with Mega Man games; unless there's a serious problem with some aspect of the game, there's no need to stray too far from the proven Mega Man formula for most fans to be happy enough. That's where I stand: I'm happy enough. 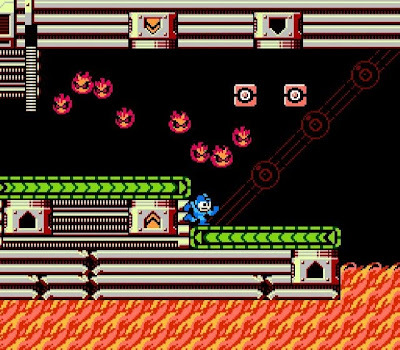 On the one blaster-for-a-hand, MM10 has possibly the highest replay value out of any original Mega Man game, scads of fantastic throwbacks to previous games, a good assortment of weapons, an improved shop system, enough challenges to satisfy gamers of all kinds, achievements that are worth bothering with (for a little while, at least), enjoyable castle bosses, a bit of character development, and the option to play as Proto Man. On the other, Proto Man is mostly awful, the soundtrack is largely forgettable, I don't much like the robot masters, the controls are a little iffy, a few of the weapons are a little unusual, I still want my charge and slide back, the story sequences leave much to be desired, and the ending is a letdown. As a longtime fan who's played almost every original Mega Man game out there, I was disappointed by Mega Man 10 at first. I'm enjoying it more as I play it more--after all, the core gameplay is highly satisfying--but the negative points I mentioned are too important for me to overlook them enough to give MM10 the rating I want to give it. Despite their similarities, MM10 is unquestionably a better game than MM9; yet, at least in the short run, I've enjoyed playing MM9 more. That's what I keep coming back to: This game is fun (well, except on Hard Mode and/or in the off chance that you ever get hit as Proto Man), but I've complained less and smiled more with plenty of other games in the series. Mega Man 10 is a very good game on its own, but when put alongside its predecessors, it's the negatives that make it stand out more than the positives. And the fact that one of the bosses is named SHEEP MAN. Suggested additional reading: A review of Mega Man 10's downloadable content. 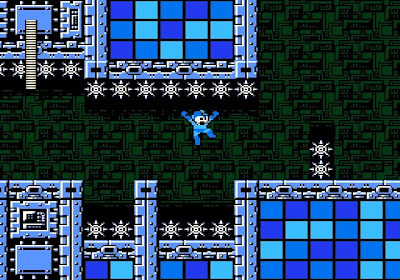 I want to say that Mega Man, for me, is fun BECAUSE of its lack of complexity. It sounds like a weird thing to say about a game where you're offered eight choices right off the bat, but it's true. With these games, there's eight things you fight and each stage has pretty much one path through it, so it's a pretty simple game that lets you just focus on honing your skills and having fun. Mega Man X was probably the pinnacle for me in terms of complexity; every stage was completely linear, but exploring in weird places could net you some kind of special thing; or you'd see a special thing ON the normal path and would have to figure out how to get (to) it at some point, but it didn't go overboard with alternate routes or anything like that. The weapons were all pretty nice, too. 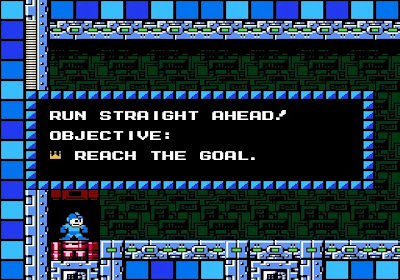 I mean, in the end, when I sit down with Mega Man, I don't really want a game that takes me 50 hours to complete, I just want to have fun shooting some things and get a sense of accomplishment when I beat it that evening. Speaking of Mega Man, I had this idea; imagine if they had a Mega Man Shop. You could essentially buy levels, either professionally- or fan-made levels, with their own layouts, enemies, and bosses. You could also buy packs, like, say... base Mega Man, then 50 cents for slide, 50 cents for double-jump, 50 cents for single-level charge, 50-cents for double-level charge, etc. So you'd have to pay for all the bits and pieces, but once you owned them... you could mix and match them all to make your own game! I mean, it's not like the story is important at all. Mega Man Marketplace! Or basically, a crowdsourced platformer. Maybe I'm being ambitious, or just more concerned with creating games than playing them, but I'd be more interested in somebody creating a solid base of gaming elements to work with, and a good interface for working with them, so as to put the power in the hands of the people, rather than trying to switch everything up in yet another sequel. I mean, which would get you more excited, Mega Man 11, or Mega Man Level Designing Tool? I know I, for one, would have a much better time rewriting a game like Final Fantasy IV than playing through some newfangled (and unrecognizable) Final Fantasy XIV. Scott: Honestly, alternate paths don't make MM10 all that complicated; it's just a matter of choice, so you can opt to take the path that's easier to survive or the one that has better powerups. It's not terribly twisty: with the exception of the first castle stage, the few stages that give you a choice of path present a split around the halfway point where you can go one of two ways, and they connect back before the end. This is actually a little less complex than the alternate paths in MM6 and MM7. One of the many things I don't like about Proto Man is that he IS too complex: the shield alone requires a lot more thinking to use it effectively, and all his drawbacks require extra consideration and planning. I prefer the original Mega Man games over the X series and especially the Zero series because they're rarely overly complex. Dash-jumping, wall-kicking, charging up boss weapons, lots of partially-hidden powerups, and multiple suits of armor (in later games) introduce too many options for my taste. I still enjoy the games because they manage to be challenging while still being relatively simple. Concerning your Mega Man Shop idea, I would absolutely love this. They give you a level editor with Mega Man: Powered Up, but that's one of the last games I'm interested in designing levels for. The reason I've never gotten into making my own homebrew Mega Man game is because I like the challenges that other people throw at me; now, if I had enough ability, I'd make my own game from scratch. The only thing I'd do with a single-game level editor would be to refine the stages that I think could use some work. However, if I had the entire Mega Man series at my disposal... well, that's a different story. I greatly enjoyed the mash-up Wily Tower section of Mega Man: The Wily Wars, and there's a lot of things I've wanted to see together in the same Mega Man game. zharth: I'd really like to see a well-designed MM11 with a meaningful plot that relates to the series as a whole (like starting to plant the seeds for Mega Man X), but I am always happy to see a game with a level editor, being the creative soul that I am. I've spent a lot of time making levels for Heroes of Might and Magic III, Civilization III, Worms: Armageddon, Jedi Knight II, and SimCopter (well, I've built cities in SC2000 with the sole purpose of flying through them), and it's always a blast. So, gimme a level editor and a meaningful new installment, and I'll be happy. Speaking of twisty stages with multiple paths, I was just reminded of the final level in Super Mario Bros. 2 - Wart's Castle (although to be quite honest, Bowser's castle has a history of being twisty too). I just remember really liking that stage because there were so many different ways to get through it. And you're assaulting a castle after all, so it's cool to be able to choose to climb over the top, or take the lower path through the dungeons, etc. I guess I'm a fan of twisty level design. It gives you more to explore, and I love exploring. The best levels in the classic Tomb Raider games were notoriously twisty, after all. I like exploration, and I like options, which is why Metroid appeals to me as well. 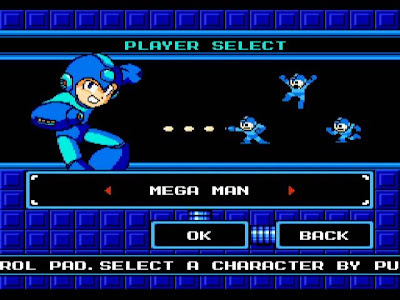 I like multiple paths in Mega Man games for the sake of replayability (one of the most important aspects of a MM game, in my opinion), provided that it really is a choice between two roughly equal ways to go. personnaly i really like MM+0! i love diffrent path, different character to play, the hard mode (the real mode because the bosses have more attacks), the challenge, a lot of good stages, and finally the soundtracks! yes i really like this soundtrack(how can you say it's forgettable, damn you, burn in hell!!!!..... just kidding of course), i think it's awesome! there's a lot of different style from all the compositors of the ancient megaman games! the special stages are awesome too! i know this comment is short but i don't have much to says, i like megaman 10, some peoples doesn't like it, it's just diffrents opinions! at last, we're all megamaniac! ho by the way even if i don't have the same opinion than you about mm10, it's a really good critic, complete and objective, good job, and i can't wait your mm6 video! Hey, Giga-Ganon! Glad you thought my review was objective; that's something I always try for (well, as objective as pure opinion can be, anyhow). Mega Man 10 has a lot going for it, and I can absolutely see where you'd love it if it's more your style of game. But you're right! We're all Megamaniacs, so what does it matter? JoeReveiwer: Wow, the first thing I thought when I saw the end credits for MM 10 was "Hey, this looks like a screen saver!" Anyways, great review! Also, thanks for warning me about Protoman in Hard Mode. I had an rather fine experience with him in easy mode,(I started by playing Mega Man in Normal and Proto in easy)and was planning to use him in Hard. I did find that any deflected projectiles from him were almost always accidental and when I wanted it to work the angle was always wrong *cough*Blademan*cough. "Mega Man 10 is the greatest Mega Man game of all time." Well, I still think it is. All the good things from the previous games were amplified to the maximum in this one, and the replayability is so great, that it makes me want to play it right now. It is so good, I want to attempt hard mode with Proto Man. There are two things that make MM10 so awesome. The three different game modes and the three different characters. No other MM game (other than American MM2, which doesn't count) has two game modes, let alone three, and while Bass was playable in MM&B, and Proto Man was playable in MM9, they are both in this game, making it so much more enjoyable. 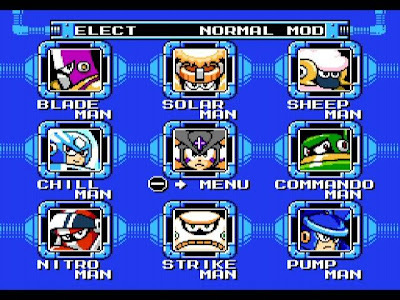 I love all the robot masters, even Sheep Man. People say that Capcom is running out of ideas for MM games, but Mega Man isn't supposed to be taken seriously. (That's what MMX is for...but they have even worse bosses) MM10 takes advantage of the sillyness the series is known for, and creates a fun, challenging, and entertaining experience, right down to the cameo in the opening. Overall, MM10 is the perfect MM game, and it delivers so much better than it's predecessor in every way. I could go on and on about the music, DLC, and everything else, but I don't want another 7-page comment (see Mega Man 9 review comments). Joseph: Whoops, I missed this one. Belated thank you! Daftpirate: Well, if you like it, you like it. And I agree that the polish and replayability are off the charts. But, like a car, the mileage it gets and the shiny exterior don't matter if it's uncomfortable to drive. As I see it, all good things from the previous games were changed or left out entirely. I have NEVER been so disappointed with a Mega Man soundtrack. The plot is unprofessionally sloppy and fails to take itself seriously, whereas the previous games took themselves seriously, but were fun-loving and family-friendly enough that the PLAYER could choose not to take them seriously if that was their preference. Versatile and effective weapons have been replaced with quirky concept weapons that often leave the player at a disadvantage. The character balance of MM&B, MM:PU, and even the later MMX games is once again thrown out the window, leaving one character with none of the powers that would make him a fair match for the challenges, one character who is brutally punished for having abilities we've taken for granted the last 20 years, and one lone character whose benefits evenly weigh against his flaws. I, too, could go on. Bottom line: I've played this game as every character on every difficulty setting, tried out every weapon extensively, played through every challenge and special stage and logged a fair amount of time in Endless attack, and no amount of playing, reading, or discussing has changed my feeling that, like Proto Man, MM10 is marred by a series of little issues that, together, overshadow what IS great about it, and what was great about its predecessors. Wait, so you're saying that you enjoy the high-pitched repetitive goat squealing of the MM8 soundtrack more than the thought-out beautifully crafted brilliance of the MM10 soundtrack? Even the beloved MM2 soundtrack isn't as good as this one, though it comes close in second. If MM9 had upgraded the music from MM2 and made it better, instead of just using the exact same tunes, it would be different. MM10 has some upgraded tunes, but where it really shines is the original compositions. Blade Man, Solar Man, Chill Man, heck...all of them are perfect! The music represents the location that the level takes place in so well, that it makes you play the game so much better, because the atmosphere reflects the level. The music also has some complex notes that make the music so much better. I think the best songs in the whole franchise are in this game's soundtrack. The special stage music is so good that I want to keep trying the levels over and over again just to listen to the music. And Roll's theme...it left me speechless. Compare that to MM1 soundtrack, where the music is so scrambled and jittery you can't follow it, or MM3, where almost all the songs sound the same. What about MM9, where the songs are composed of the same 8 notes, which also happen to be the highest notes in history. Bottom line: MM10 has such a good soundtrack that every fan should have in their music library. Expression of opinion is fine. Disagreement is fine. Counter-arguments are fine. What you're doing now is neither poking holes in my argument, nor providing evidence and background that support your opinion; you are forcing your opinion on me with poor support in an attempt to invalidate my opinion by sheer willpower. That's not fine. I agree that the music of MM10 fits the atmosphere of each stage well, but I take issue with the instrumentation and lack of complexity/emphasis in the harmony and percussion lines. 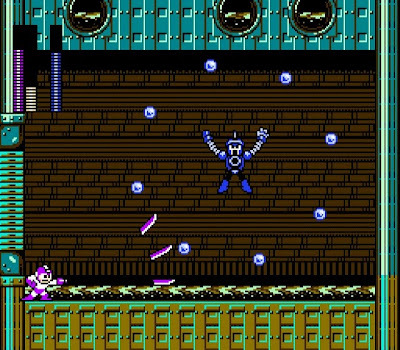 MM10's soundtrack is driven by the melodies, and as they're presented in the game, I find that the robot master stage melodies especially lack the energy and catchiness of previous tunes. I have heard some terrific remixes, and I enjoy the Wily stage themes, the boss battle themes, and the stage select theme, but the character and presentation of the soundtrack in general is different from what I've come to expect, and I am disappointed. I have no issues with MM8's soundtrack; the only "high-pitched repetitive goat squealing" I can think of is when Mega Man is being electrocuted by the gigantic robot on the way to Wily's fortress. Comparing MM2's soundtrack to MM10 just throws another opinion into the mix that's masquerading as a fact. Most of your argument is based on devaluing other soundtracks to elevate MM10's, instead of letting its own merits speak for themselves, and nowhere is that clearer than here. MM9's soundtrack reused three incredibly short tracks and drew some stylistic inspiration from MM2. If the MM2 soundtrack is a close second to MM10's, I don't see much room for disappointment--unless you vehemently object to any recycled themes, in which case you should be mentioning the victory music from MM4-6 and any game that reuses the end credits theme from MM2. I agree that the instrumentation of MM1 sounds rough around the edges compared to other games in the series. I find its retro simplicity charming, but even if I didn't, there's a difference between irritating and disappointing. Tornado Man's theme may be excessively high-pitched, but then again, so is the beginning of MM10's Endless Attack mode music, which spends the rest of the time in about the same register as the MM9 soundtrack, which is otherwise never any higher than any of the Game Boy games. I can understand where a few songs from MM3 might sound alike, but there's a diversity of serious and happy tunes, a variety of tempos, and a broad range of higher and lower notes throughout the soundtrack that makes it difficult to believe that someone with a discerning enough ear to hear goats in MM8 would think they almost all sound the same. As I'm reading it, your argument seems to boil down to, "All the other Mega Man soundtracks have problems, therefore MM10's music is the best because I like it." You don't need to prove to me how much you like the soundtrack, and you don't need to defend it by tearing down the other games. I'm not attacking it as a bad soundtrack--I've already said I like several tunes--it's just generally not what I've come to expect from a Mega Man game, and though I sometimes appreciate variations from my expectations, this is not a case where the differences won me over.